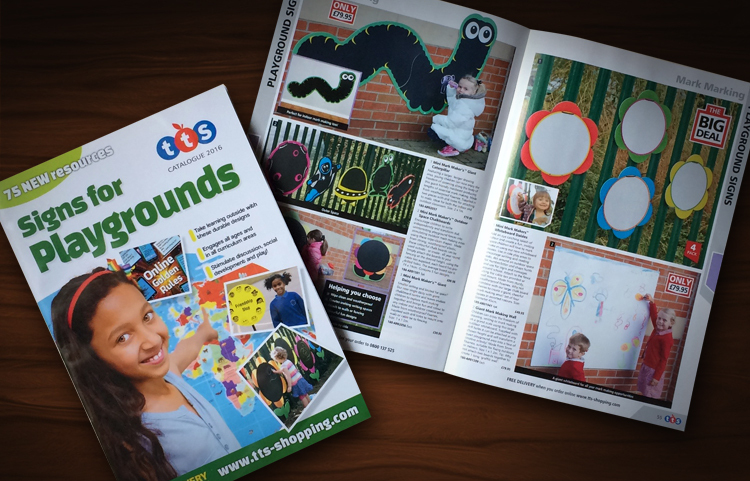 Having worked with some of the largest school and education suppliers in the UK, we were approached by Nottinghamshire based TTS, to create their playground catalogue design, last minute. As one of their catalogue design suppliers couldn’t cope and was struggling to meet the deadline. As Andrew Burdett Design are catalogue production experts we can turnaround professional catalogues very quickly. Following the TTS brand guidelines and using their catalogue management system we create the 84 page playground catalogue design in only 4 weeks using Adobe Indesign. Our client list is very impressive, from famous brands to sole traders. We can help you produce a catalogue that sells your products, as we understand your requirements having produced thousands and thousands of catalogue since we were established back in 1999. If you have a catalogue you need to producing to a short deadline, call the catalogue design experts Andrew Burdett Design on 01433 208307 for a FREE quote.